A wide variety of developing skills are catered to, such as motor, oral and social-emotional. 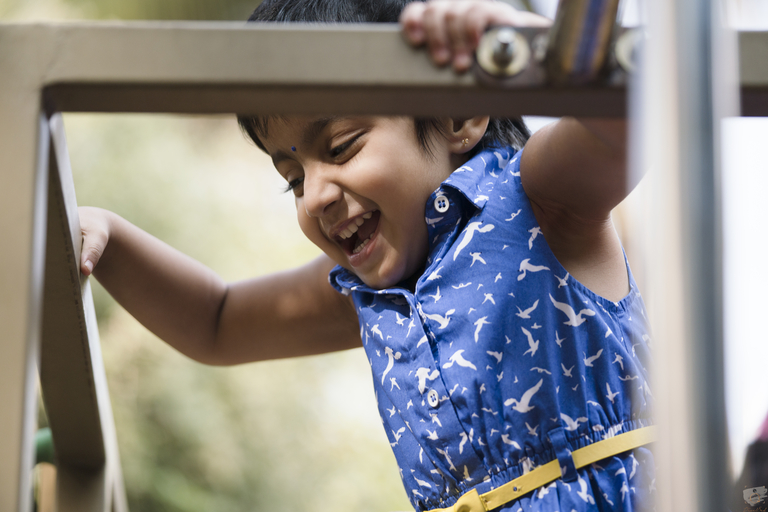 The toddler child is gearing up for a lot of changes, cognitively, physically and socio-emotionally. A wide variety of developing skills need to be catered to, such as motor (gross and fine), oral language and emotional sensitivity. The child struggles to find its place in the world, while simultaneously dealing with growth spurts. The primary adults in the child’s life (parent and teacher) should be patient and understanding of the various stages of child development and should amply support the optimal growth of the toddler. Keeping this in mind, we at Anthea have created a mini world for this toddler inside our premises. The toddler classrooms are intentionally slower paced than the primary classrooms. It is designed to specifically meet the needs of the toddler, keeping in mind our primary aim of developing independence in our children. Our classrooms feature suitable chairs, tables and other ergonomically designed furniture along with sinks, bathrooms and outside environment, all designed to engage the child’s innate curiosity and support its independence. All this is designed keeping in mind the importance of the prepared environment, which plays a major role in the child’s development. Order is of utmost importance to the toddler and Dr.Montessori was one of the pioneers in the field of Early childhood education to recognise its importance. Most of the child’s frustration (hence tantrums) result from the toddler being unable to express his/her needs. When an environment is out of order, it frustrates the child especially because the environment is not catering to his/her needs, thus leading to unnecessary tantrums. All we adults tend to do is reprimand the child and make him/her feel punished, leaving the child even more confused! Therefore, our classrooms insist on order from the very get-go. Every material has its place and every person in the environment is trained to put it back in its appropriate spot. A child always finds each activity in its own spot and, hence, you will see happy toddlers working in our classrooms. The choices offered to the child are deliberately limited, lest we overwhelm them! The four major areas of focus in the toddler environment are oral language development, independence, development of social skills and sensorial exploration. Toddlers are particularly sensitive to hearing sounds and expanding their knowledge of the world with their vocabulary. Enrichment of the child’s vocabulary is one of our primary goals. To this purpose, our classrooms offer a wide variety of opportunities for the child to develop and hone this skill. Stories, dramatics, rhymes, music and movement are all integrated into the everyday activities. These activities enable the children to gain clarity in speech, considerably expand their vocabulary, demonstrate correct usage of the language and help develop a sense of appreciation of the artistic expression. It indirectly helps them build their confidence level as they find a means of expression, which in turn leads to less frustration and helps them in the social-emotional aspects as well. They also develop an appreciation and enjoyment of the spoken language. This indirectly prepares the child for writing and, later, reading. Some of the older toddlers, who show readiness, are even introduced to sound games where they learn to differentiate and identify the beginning sounds in words. All this lays a basis for the creation of a joyful child, who finds the process of learning and exploring enjoyable through this experiential education method. An ancient proverb goes “Tell me, I’ll forget. Show me, I’ll remember. Involve me, I’ll understand”. This aptly describes the aim of our toddler program. Enough research now supports the need for experiential learning, especially in the Early Childhood years, and Montessori education has been a pioneer in this. Dr. Montessori realised very early on that the joy and pride children feel when they do a task by themselves is unparalleled. To facilitate this process, we provide a myriad of opportunities in our classrooms for our children to practice independence. There are shelves dedicated to the “Practical Life area”, where the activities range from simple tasks like pouring dry beans from one container to the next to complex tasks such as tonging and tweezing that refine the child’s pincer grip (used for correct writing in later years). They also practice working with materials that break, such as porcelain and glass, so that they learn that their actions have consequences. They are encouraged to clean up their own mess, and they actually feel a sense of accomplishment having done so! They practice on the button frames and various other dressing frames repeatedly, so that they achieve a mastery at being able to dress and undress themselves. One of the major advantages in a toddler classroom is that toilet training is done in a gentle manner keeping in mind each child’s developmental milestones. The whole process moves away from being a stressful experience to an enjoyable one, where the child feels respected and cherished. There are multiple opportunities to exercise independence, such as pouring themselves a glass of water or fixing themselves a snack when hungry. This seems trivial to adults but it is most gratifying when one watches a two-year-old slicing cucumbers and preparing a sandwich. Each task in our classroom is broken down into multiple steps and shown very slowly and deliberately to the child. Then the child is given absolute freedom to repeat the task and master it. This enables the toddler to function with confidence. A Montessori classroom taps into the power of imitation and uses it as a learning tool! Social skills is one of the primary skills that we try and inculcate in a toddler. Our classrooms at Anthea are filled with courteous and polite adults (support staff included) who model grace and courtesy at every given opportunity. This is what the child sees daily and is actively absorbing it. Therefore, it is extremely important to choose a good preschool for your child as these behaviours leave a lasting impact on the child. We are constantly engaged in a positive and rich conversation with the children, thus enabling them to express their feelings in a courteous manner. Grace and courtesy is inbuilt into the curriculum right from the toddler stage. This enables social skills to grow exponentially. Our skilled and loving teachers instil the confidence in the child while teaching them to express themselves in a courteous fashion. The sensorial area in the classroom is the cornerstone of Montessori education. To Dr. Montessori, the child is a “sensorial explorer”. She was a firm believer in the old Latin maxim “Nothing is in the intellect that was not first in the senses”. This she gathered through her keen observation and the precision in her methods. Our classrooms offer a developmentally appropriate range of sensorial materials for the toddlers to explore and enrich their experience. The sensorial materials help the child classify the things in his/her environment, thus offering the first steps to organise his/her intellect, leading to refined interactions with the people and his/her environment. Our children are taught to visually discriminate and grade colors, dimensions and shapes. They experience materials that teach them to refine their olfactory, gustatory, auditory, tactile and stereognostic senses, among others. The purpose and the aim of the sensorial works is to gather and classify information about the environment accurately, and thus help the child navigate the environment with independence and confidence. The sensorial work also has an indirect purpose in refining the pincer grip, which eventually helps with writing.